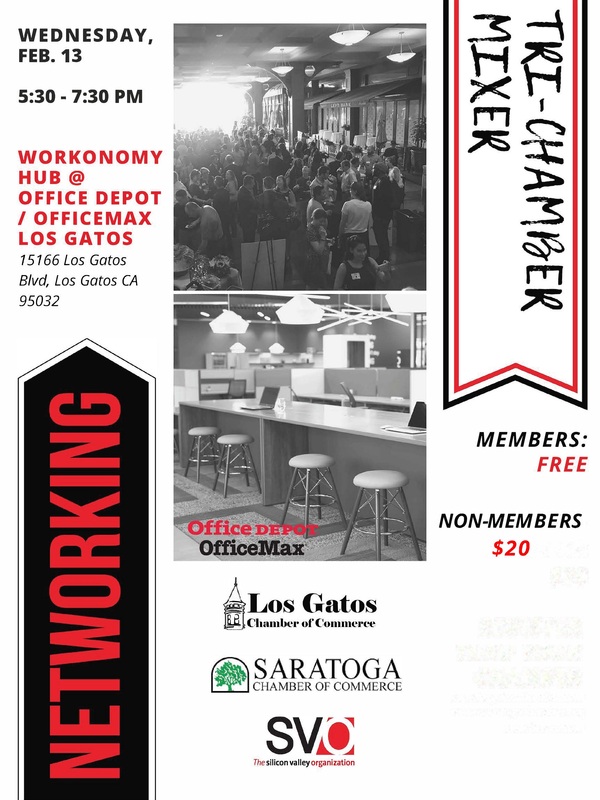 The Tri-Mixer is an excellent opportunity to chat it up with the Los Gatos Chamber of Commerce and their members and The Silicon Valley Organization and their members. You will expand your business networking circle while enjoying delicious food, wine, and if you are feeling a bit lucky you may win in our raffle! So what are you waiting for? Come on and register for the event, grab a friend or colleague, your business cards and get ready to network!